Starting a board of directors is frequently cited by family business owners as something they know they “should do.” In fact it’s a perennial top request for new family business workshop topics. With all of this reported interest, it’s surprising that only 48 percent of family businesses have actually instituted a functioning board. The process of preparing for a board, even before the board is fully implemented, has benefits for an operating family business. A functioning board signals that a business is building for growth, diversification, expansion and innovation. Objective opinions can change the possible trajectories driving calculated shifts in product lines and skill development in employees. As a business owner your board becomes a team of specialists studying your business with the focused intention of making the most of the enterprise you have built. Nonfamily directors are needed in addition to the hired business professionals that are often used as informal business advisors. Accountants oversee financial issues and recommend tax strategies. Attorneys help to mitigate risk and protect assets. These professionals also desire long-term relationships with your business and may be less inclined toward risk or promoting change. Industry data exchanges and study groups provide benchmarks to assess business performance and identify industry trends. Peer forums provide personal development and self-reflection to develop transformative leaders. Board members integrate all of this information at the enterprise level to provide new insights and perhaps, cautionary tales. 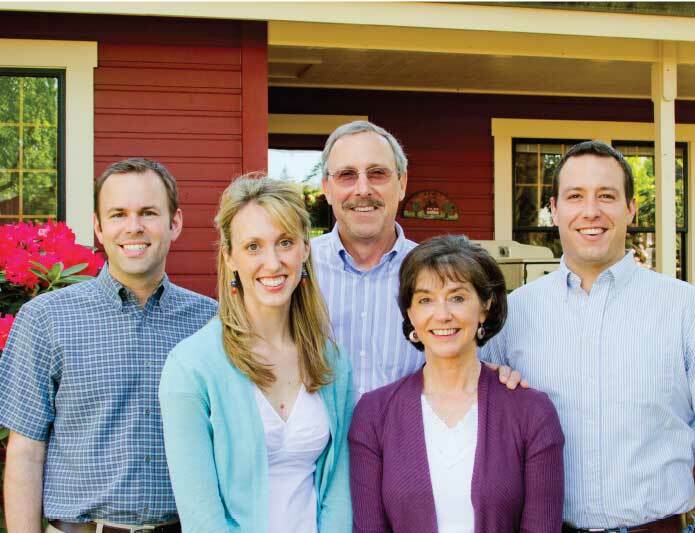 In addition to business development, a board strengthens family focus and discipline. Next generation leaders often report to me that the family behaves better “when there are outsiders at our meetings.” Time dedicated to preparing agendas and financial statements in advance of the meeting is required to support decision-making and analysis. One executive told me, “I do this because I respect the business and the legacy that my family has built. I prepare our documents for the meetings and put on a suit and a tie.” This is an opportunity to clearly model responsibilities as stewards of the enterprise. Advisory boards also facilitate connections to the business successors. Setting objective expectations and using their experience to develop and mentor young leaders facilitates a transition that may seem many years away but will arrive quickly. In fact, junior board structures where young family members are tasked with managing the family’s community donations are being used to teach responsibility, due diligence and reinforce the family’s philanthropic values. Preparation for starting a board of directors begins with long-term business planning and conversations with family owners and family employees. Knowing where your business is headed long-term clarifies the expertise and resources that are needed to succeed. Is the owner planning to retire and needs input on succession and transition planning? Is the firm’s goal to move into international markets? Will there be a possible acquisition of a similar business in the future? The payoff is a set of focused experts committed to achieving your business goals and bringing their expertise to bear on the problems encountered along the way. One of the first steps is to create a prospectus that documents the expertise and experience that is needed, the annual meeting schedule and the compensation to be provided. It will serve as a reference document for recruitment and screening of potential candidates. The expertise sought should align with the future business plans and complement the experiences of family board members. The prospectus will be useful to business community contacts and hired advisors who will help recruit candidates. A well-prepared prospectus will focus the search and attract higher caliber candidates. Candidates should not accept the assignment until they have reviewed the documentation and been vetted by family board members. Close business associates or golfing partners who have long provided informal input could serve as trusted board directors provided they can meet the “bad breath” standard. Fall Creek Farm & Nursery Inc. has added two new members to its professional board of directors. Joining the board are Roland Wolfram, a former Nike executive and Elin Miller, a former executive with Arysta Life Science North America/Australasia, Dow Chemical Company and past presidential appointee to the Environmental Protection Agency (EPA). Fall Creek, a family-owned company, established its first board of directors in 2013 utilizing the expertise of outside board members with the addition of Mark Frandsen, former president and CEO of New Season Foods, Inc., an Oregon-based food manufacturer, and Ulrich Pilz, a 30-year senior executive in financial management, manufacturing and software. Both remain active board members. Also serving on the board are company President and CEO Dave Brazelton and Chief Financial Officer Boris Aust. Additionally, Kevin Adams, CEO of the Mountain Group, serves as strategic adviser to the board. “In our family business, employing outside board members has greatly enriched our business decision-making processes,” Brazelton said. “It has allowed us to draw upon the invaluable expertise of high level, seasoned executives who have a genuine interest in helping us reach our goals and fulfill our mission. Fall Creek is an international blueberry nursery stock and variety solutions company supplying blueberry genetics, nursery stock and grower support to commercial fruit growers, nurseries and wholesale plant growers throughout the world. For more info, log on to www.fallcreeknursery.com. The numbers of directors will vary with each ownership structure. Family members sit on boards to connect business decisions to the family’s values and to shareholder interests. Nonfamily members provide the extra set of eyes and areas of expertise that are of interest for the company. First-time smaller advisory boards should select at least two nonfamily members. Chairs of family businesses are highly sought-after as board members because they understand the value and culture of family ownership. Compensation varies from nominal honoraria to prorated amounts based on the hourly rate of pay earned by the chief executive. The expectation of time invested for each meeting should drive the consideration of compensation. Motivated business executives are often interested in the experience of helping to grow a company over the monetary reward. Think of the compensation as an investment made to improve business performance. Establishing a board is not a short-term fix and requires critical planning for the largest gains. Lack of time may be the reason that less than half of family businesses implement boards. Another obstacle may be the reluctance to share financial data and accept questioning from experts outside of the operation. CEOs who realize it’s better for a new idea to fail in the board room than in the marketplace are more willing to have transparent discussions. The Austin Family Business Program defines family business excellence as strong family harmony, active development of next generation leaders and a sound business infrastructure that will support business growth after the departure of the current family owner. Active boards, that include external directors, make it clear that your family is serious about advancing the business to a higher level of excellence.